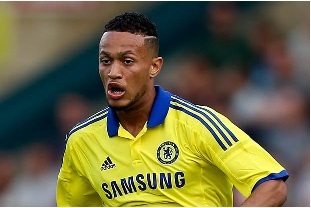 Chelsea have sent midfielder Lewis Baker on loan to MK Dons. The 19-year-old, who signed a five-year contract in August, will spend the rest of the season with the League One club. MK Dons have made the move for Baker after key man Dele Alli was ruled out for six weeks. Ex-Chelsea midfielder Kevin De Bruyne is open to a £30m move to Manchester United, according to the Daily Express. The Belgian has bagged 11 goals and 16 assists in a sparkling campaign for Wolfsburg, prompting talk of interest from Louis van Gaal. De Bruyne said: "Football is much about money. Wolfsburg is not yet like Bayern Munich, of course. "And my biggest ambition is to come out for a big European club. One I can win trophies with. As much trophies as possible." The Metro claims Borussia Dortmund are ready to accept a £29.2m bid from Arsenal for Pierre-Emerick Aubameyang. The forward is a target for a number of Premier League sides with the German outfit likely to lose a number of first team stars. Arsene Wenger is reportedly in pole position to land Aubameyang, who is also a target for Liverpool. Reds boss Brendan Rodgers is on red alert after defensive target Danilo rejected a new contract with Porto. The 23-year-old, who is also a target for Manchester United, has been offered a one-year extension by the Portuguese club. But the Daily Mirror believes he is ready to leave for a new challenge.